Yes, Edgar Martinez finally got voted into the Hall of Fame by the Baseball Writers Association on his 10th and final year of eligibility. 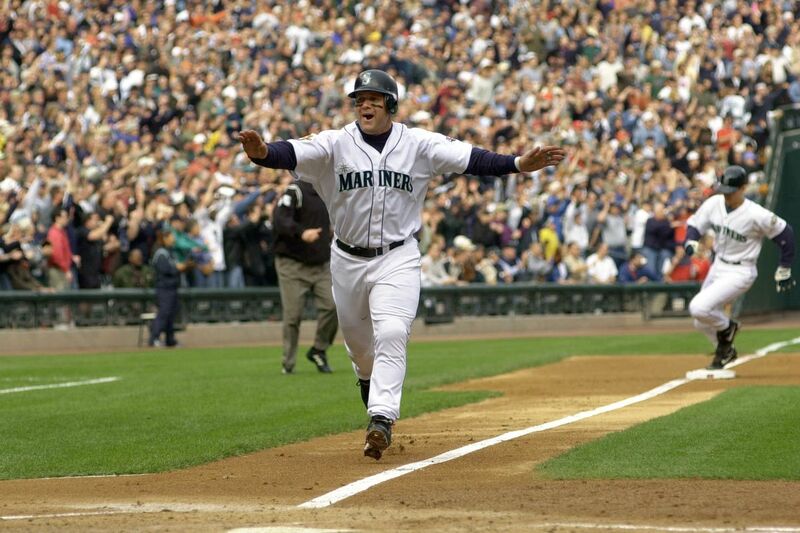 For Mariners fans and for those more sabermetrically inclined, the induction came as a validation of something both had known for the full decade of Edgar’s candidacy: He was really good and should have been voted in in year one. But this HOF class, in general, shows an encouraging trend, one away from traditional statistics and toward a more sophisticated approach to evaluating candidates, even if there’s still the occasional Omar Vizquel insurgence. In addition to Martinez gaining entry into Cooperstown, Mariano Rivera became the first unanimous inductee. While it is simply ludicrous that Babe Ruth, Ty Cobb, Ted Williams, Mickey Mantle, Willie Mays, Hank Aaron, et al, ad nauseum, were left off ballots in the past under the pretense that “no one is a first ballot hall of famer,” the fact that this generation of voters may be more concerned with getting it right than in carrying on an absurd tradition is encouraging. Mike Mussina and Roy Halladay were also voted in Tuesday, two nods that may baffle the old guard but are easy calls for those more comfortable with advanced analytics. By electing Mussina, the BBWAA has essentially signaled that Curt Schilling also belongs in the hall. You can argue that Schilling is not the most stellar human being and that his politics are often reprehensible, but his performance on the field is essentially identical to that of Mussina, if not slightly better. Halladay is a bit more of a stretch in terms of longevity and it is all but certain that his untimely death last season played a part in him getting in on his first year of eligibility, but his career WAR, WAR7, and JAWS are nearly identical to Bob Feller and Juan Marichal, only in a much less pitcher-friendly environment. The next obvious hurdle for the BBWAA to clear is to elect the third-greatest pitcher of all time and arguably the greatest hitter ever. The two elephants in the room are, of course, Roger Clemens and Barry Bonds. Each has seen their vote percentage creep up over the past seven years, Clemens from 37.6% in 2013 to 59.5% this year and Bonds from 36.2% in 2013 to 59.1% on this last ballot. With just three more chances, it will be interesting to see if these tainted titans of the game can muster the additional 16% or so they need for induction. On the old timers committee, it may be wishful thinking, but a rule change mandating that no candidates can be considered if they never accumulated, say, 50% of the BBWAA vote would be a step in the right direction. It could be called the Harold Baines Rule. In 2020, Derek Jeter is likely the only first-time candidate who will get in, perhaps unanimously since his fellow Yankee core four guy Mo set the precedent. That should set the stage for cleaning up some of the backlog, like Schilling, Clemens, and Bonds. In the meantime, congratulations to Edgar, Moose, Mo, and Doc. You are Hall of Famers.